We’d love your help. 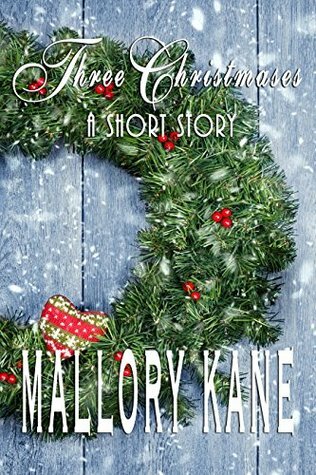 Let us know what’s wrong with this preview of Three Christmases by Mallory Kane. Bestselling romance author Mallory Kane has published over 40 romantic suspense titles between Harlequin Intrigue and Tule Publishing Group, and she has multiple independent projects spanning genres. Mallory loves romantic suspense with dangerous heroes and dauntless heroines, and she enjoys tossing in a bit of her medical knowledge for an extra dose of intrigue. Mallory taught herself to read at Bestselling romance author Mallory Kane has published over 40 romantic suspense titles between Harlequin Intrigue and Tule Publishing Group, and she has multiple independent projects spanning genres. Mallory loves romantic suspense with dangerous heroes and dauntless heroines, and she enjoys tossing in a bit of her medical knowledge for an extra dose of intrigue. Mallory taught herself to read at age three, starting a lifelong love affair with books. Her mother, a librarian, loved and respected books and taught Mallory that they were a precious resource. Her father was a brilliant storyteller. His oral histories are chronicled in such places as the Veterans' History Project at the Library of Congress. He was always her biggest fan.